Soprano Vira Slywotzky returns to McCaw Hall to sing the central character in The Consul -- a woman who must flee a nameless and unfeeling police state in order to survive. Slywotzky, the grandchild of Ukrainian immigrants, is a celebrated artist who has performed at the BBC Cardiff Singer of the World competition and with the Mirror Visions Ensemble, in addition to performing all over Washington when she was a Young Artist with Seattle Opera. 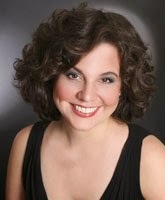 Slywotzky sings Magda Sorel on February 23 and 28. Read below to learn more about why this opera hits close to home for her. 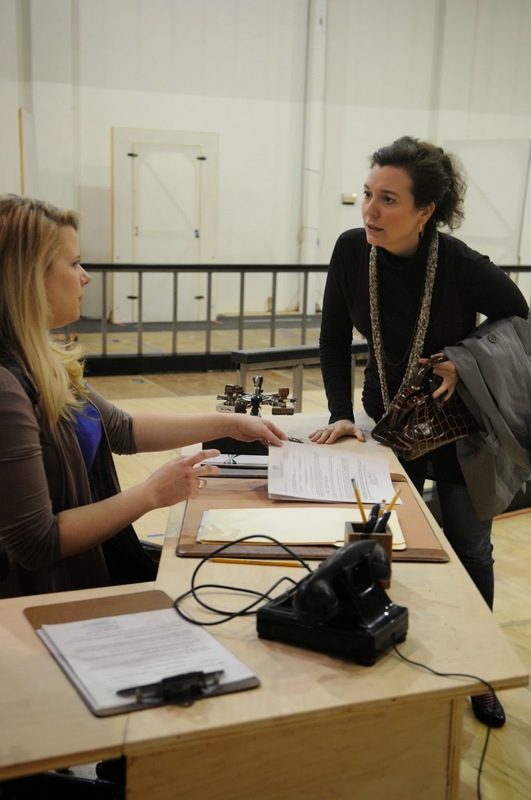 On the first day of rehearsal for The Consul, many people from Seattle Opera’s staff and cast shared real-life stories of escaping persecution, either their own or a family member’s. Did you have a strong reaction to that discussion? Certainly! My family is from Ukraine — a country that is struggling, even now, today, to maintain its independence and identity. All of my grandparents were displaced persons during World War II, forced to leave their homes without a new home to go to. My mother's parents, who were from the western edge of Ukraine, were displaced by the Polish Army, which invaded and occupied westernmost Ukraine, and expanded the Polish territory. Ukrainians in the region fled or were killed. My grandparents and their little son escaped and ended up in a displaced persons camp in the mountains of Austria where they lived in army barracks. Each family had a space partitioned off by curtains. My mother was born during her family's stay in the camp, during the years of stasis before they were able to settle in America. Magda describes her occupation as "waiting" — for my mother's family, "waiting" was their way of life! As you prepare to play Magda, have you been thinking more about your family's experience? I carry my family's past with me all the time. Awareness of where I came from is an integral part of who I am. Now that I live in New York, my father's parents are my neighbors. My grandmother and grandfather talk about their early lives all the time, growing up in Ukraine, meeting and marrying in a displaced persons camp in Germany, coming to America - to them it feels very recent, and they make me feel that it's fresh as well. You're a graduate of Seattle Opera's Young Artists Program. What did you gain from that experience? 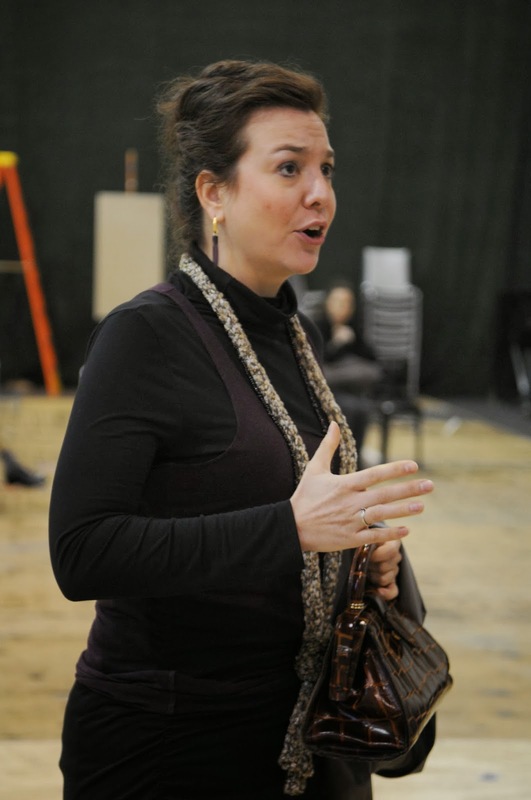 For me, the Young Artist Program at Seattle Opera was a very safe place to take risks. We were members of an incredible opera company, with access to mainstage rehearsals and performances — that's huge. And within the company, we had our own little community. That time was about experimenting, about pushing and defining ourselves and opera. We worked together (and sometimes against each other) under the most nurturing leaders I can imagine. We discovered what was possible, and we put on some really great shows. When we last heard you, it was singing The Composer in Ariadne auf Naxos. How has your voice changed since then? My voice has grown, I think. Magda is a good fit for me, vocally and dramatically, and I'm very happy to be doing it. What are you most looking forward to about this role? This story is very powerful and real. It's kitchen sink drama (literally) and also global. We get to know Magda's family at home, and also all of the individuals at the consulate, each with a unique past and a hope for the future. The action is not specific to a time or country — it's inclusive. Every member of the audience will find a character or situation to relate to, and that's a beautiful thing. 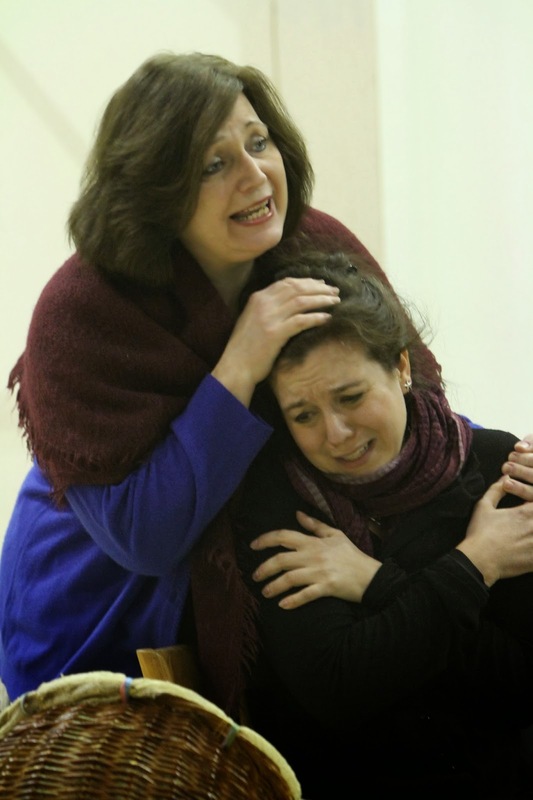 Lucille Beer (left) as The Mother and VIra Slywotzky as Magda Sorel in rehearsal for The Consul. According to your bio on the 2009 BBC World Singer Competition, you were an avid crafter. Is that still true? Oh yes! I have several different craft projects with me right now; I like doing things with my hands. Actually, in this production, Magda knits!